There's a new functionality for your viewing pleasure. You can view a slide show of over 600 member photos from the 2015 PSAAC Air Tour. 2015 Photo Gallery beneath Air Tour 2015. Blakesburg 2015 Accompanied by "Gost Riders in the Sky" on guitar. 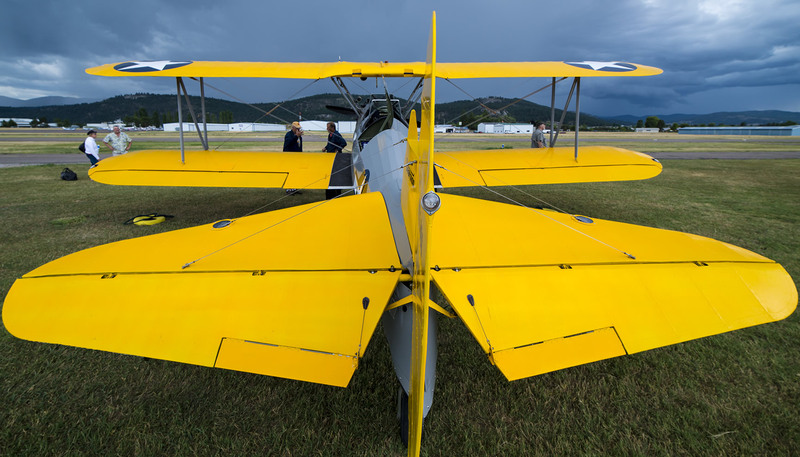 Stearman owned by Frank Hoogkamer of Buckley, WA, at Kalispell, MT. 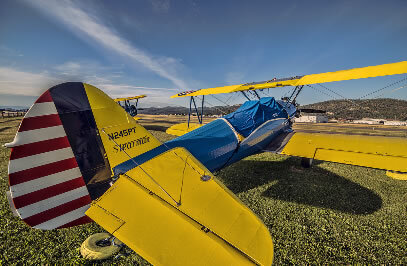 Photo shot with ultra-wide-angle lens by Glenn Barclay. Click to enlarge. 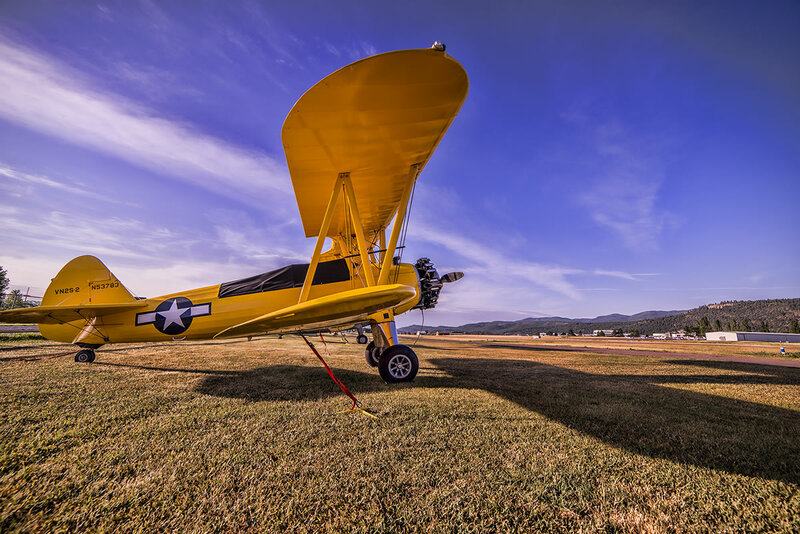 Chris Paulson of Eatonville, WA owns this Stearman shot at Kalispell, MT with ultra-wide-angle lens by Glenn Barclay. &nbspClick to enlarge. Stearman at Kalispell, MT owned by Rich Alldredge of Auburn, WA. Photo shot with ultra-wide-angle lens by Glenn Barclay. Click to enlarge. Do you need to send eMail to a member? Click Members in the left-side navigation menu. Search for the member to whom you'd like to send email. When you locate the member, click the member's little blue envelope.